While managing files via File Explorer, if you get 'The file name(s) would be too long for the destination folder' error in Windows 10, here is how to fix it. The file name(s) would be too long for the destination folder. You can shorten the file name and try again, or try a location that has a shorted path. Next, we tried to shorten the file name for few files and tried moving them again, but it failed too. Actually, this is due to default behavior of Windows, which won’t allow you to have more than 260 characters in file name(s). Whenever you try to bypass this limit, above mentioned message is likely to appear. So in case if you’re also the victim of this problem, here is a simple registry tweak that you can perform to overcome this. 4. Finally, set the Value data to 1 and click OK. Close the Registry Editor now and reboot the machine to make changes effective. After restarting your system, the issue would no longer persist. ^^ Glad to hear that! I’m using Win 8.1. 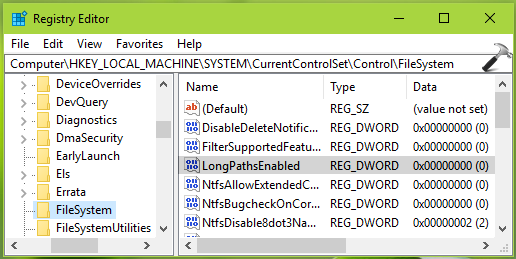 The longpathsenabled file is missing from my registry. What should I do? ^^ You can create it manually and set it to 1. 1. I copies/pasted the PATH to a note, and shortened a folder name or folder names where contains the file with too long name. 2. Then, I was able to RENAME it! So, I renamed the file with shorter name. 3. And I adjusted the folder name(s) I shortened earlier, either to back to original or shorter but recognizable one! I thought AND hope if somebody is SEARCHING the EASIEST solution. They will find this thread…! Unfortunately even editing this or the group policy workaround still to no avail. I’m currently working with a folder with node-modules. 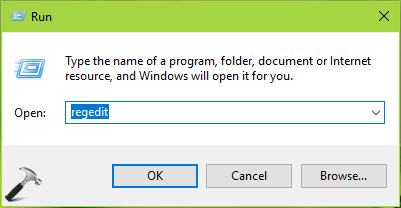 It allows me to skip I’m just trying to extract what is in a folder.